"Josh has done excellent work for us on projects on the ranch. He is extremely competent to tackle any project. He built a 2 stall calving shed, barn doors, and unique stairs on our back porch that you'll never see anywhere else. The stairs were straight/perpendicular to the house, but the landing was diagonal to the house. So each tread was a slightly different trapezoid shape. Very cool! "What a great job Josh did on residing our house. He also remodeled the outside entrys, installed picture windows, doors, contracted the painting -- everything needed to bring our 40 year old home up to date. We couldn't be more pleased. Josh's employees were competent & a pleasure to have around. The work was finished on time & within budget. Josh also made sure to recycle & leave the yard in good shape." "Josh has completed several projects for me and always does excellent work.  I would highly recommend his services for anyone looking for new construction or a remodel."